Destroys Candida Albicans¸ Kills Helicobacter pylori bacteria¸ implicated in Peptic Ulcers and other Ulcers and prevents Stomach Cancer. Inhibits/kills several types of Detrimental Bacteria. 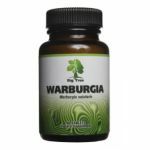 Useful for Intestinal cramps¸ Indigestion¸ Heartburn. It counteracts damage to the Gastric Mucosa caused by Aspirin and Non-Steroidal Anti-inflamatory drugs (NSAIDS). Mastic is a type of Resin derived from a specific tree native to Greece. Resin (sap) from the stem and main leaves. Mastic may counteract the damage to the Gastric Mucosa caused by Non-Steroidal Anti-Inflammatory Drugs (NSAIDS) and Aspirin. Mastic may alleviate Gastritis (according to many anecdotal reports). Mastic may alleviate Heartburn when the underlying cause of Heartburn is Helicobacter pylori infection. Mastic (1¸000 2¸000 mg per day) may alleviate many cases of Indigestion (by eradicating Helicobacter pylori a type of Detrimental Bacteria that is responsible for many cases of Indigestion). Mastic may alleviate many cases of Intestinal Cramps (specifically¸ Recurrent Abdominal Pain (RAP) in children where the underlying cause of the Intestinal Cramps is Helicobacter pylori infection). Mastic (1¸000 2¸000 mg per day) may cure some cases of Duodenal Ulcers (by counteracting Helicobacter pylori¸ the Detrimental Bacteria that is responsible for many cases of Duodenal Ulcers). 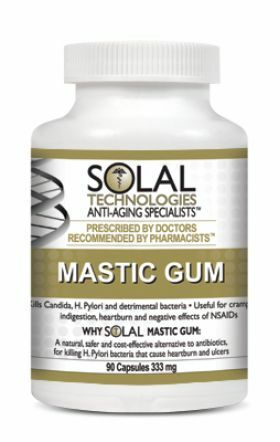 Mastic (1¸000 2¸000 mg per day) may cure some cases of Gastric Ulcers (by counteracting Helicobacter pylori¸ the Detrimental Bacteria that is responsible for many cases of Gastric Ulcers. Mastic (oil used as a constituent of toothpaste or Mastic gum chewed) may alleviate Halitosis (by killing the Detrimental Bacteria that are responsible for many cases of Halitosis). Mastic may destroy Candida albicans. The use of Mastic-containing Toothpaste helps to eliminate Helicobacter pylori from the Mouth. Mastic may help to prevent Stomach Cancer (by eradicating the Helicobacter pylori bacteria that can cause Stomach Cancer). Mastic (as a constituent of chewing gum¸ toothpaste or mouthwash) may help to prevent and treat Gingivitis (by counteracting the Detrimental Bacteria involved in Gingivitis). Mastic may help to prevent and treat Periodontal Disease (when Helicobacter pylori infection is the underlying cause of Periodontal Disease). Mastic (as a constituent of chewing gum¸ toothpaste or mouthwash) may help to prevent dental Plaque (by counteracting the Detrimental Bacteria involved in Plaque). Mastic (as a constituent of chewing gum¸ toothpaste or mouthwash) may help to prevent Tooth Decay (by counteracting the Detrimental Bacteria involved in the dental Plaque that causes Tooth Decay). Mastic may alleviate Rosaceae (the underlying rationale for the use of Mastic for the treatment of Rosaceae is the strong evidence that Helicobacter pylori (which Mastic helps eradicate) infection may be the underlying cause of Rosaceae). Mastic may counteract the damage to the Gastric Mucosa caused by Aspirin. Mastic may counteract the damage to the Gastric Mucosa caused by Non-Steroidal Anti-Inflammatory Drugs (NSAIDS). The usual therapeutic dosage of Mastic (gum) for the eradication of Helicobacter pylori infection is 1¸000 2¸000 mg per day for two to four weeks. It is also helpful to continue with a preventive dosage of 500 1¸000 mg per day on an ongoing basis.